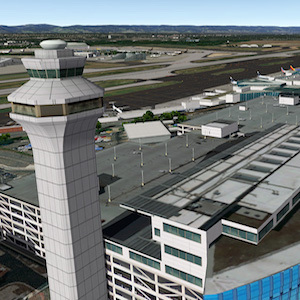 On behalf of MisterX6 we’re pleased to offer you KPDX. This is a highly detailed scenery of Portland International Airport. By default, this scenery pack removes ALL glideslope objects in the game, because one of them is blocking runway 10L/28R. If you want to fix this manually instead, do the following. Go to „KPDX – Portland International“ and delete „library.txt“. Follow these instructions on how to edit navaids to remove the glideslope object from the runway. – Compatible with HD Mesh V3. – Compatible with „Runways follow terrain contours“. This option can be left on.